Blooming Grove is located at 32°5′32″N 96°43′2″W﻿ / ﻿32.09222°N 96.71722°W﻿ / 32.09222; -96.71722 (32.092084, -96.717088). The median income for a household in the town was $32,375, and the median income for a family was $46,364. Males had a median income of $35,000 versus $22,059 for females. 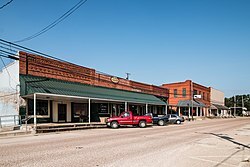 The per capita income for the town was $17,747. About 12.7% of families and 17.7% of the population were below the poverty line, including 17.6% of those under age 18 and 16.7% of those age 65 or over. 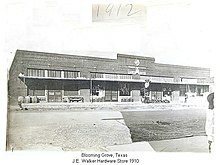 The Town of Blooming Grove is served by the Blooming Grove Independent School District and home to the Blooming Grove High School Lions.